Beans, beans, everywhere beans. My freezer is chockers with beans (and broccoli and leeks). I mixed some alpaca poo into my soil before I planted the bean seeds and they have grown like the bean stalk in the well known children’s tale. Obviously, they love it. Last year, I got a few miserable feeds and this year I would have picked pretty close to 20 kilograms. Here’s to the alpaca poo! Thanks, Sue and Matt. The other day when I was feeling overwhelmed with number of beans in the house, I decided to preserve some. I went searching through my cookbooks for a recipe. I decided on this one and I am glad I did. It is from an old Family Circle book, Jams, Pickles & Chutneys. 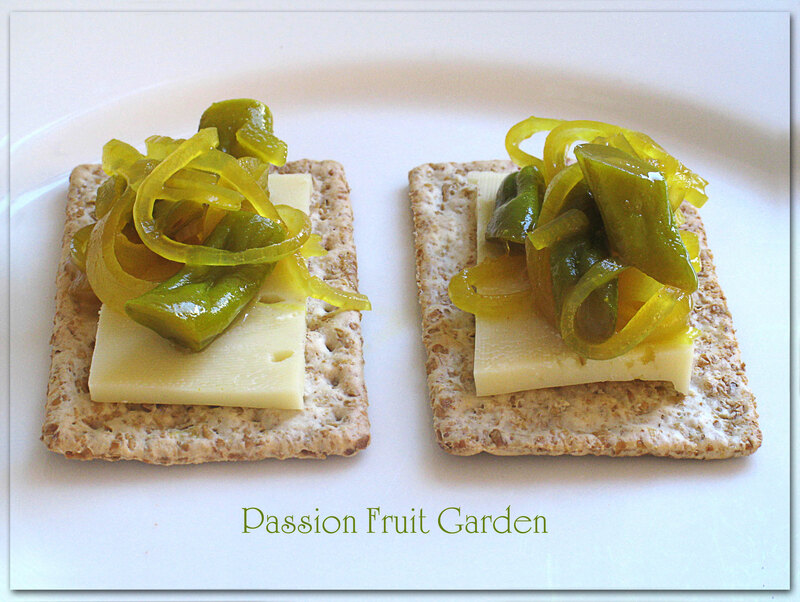 The recipe is described as a relish but, as you can see from the photos and determine from the ingredients, it is more like a sweet pickle. The pickle is great with cheese and cold meats. We have already eaten two jars. It tastes great and is so easy to make. I would make another batch if not for the fact that my pantry is already overflowing with preserves. These pickles taste so good they are worth making even if you have to buy the beans. The recipe made 8 x 200 mil jars. Top and tail the beans and slice them into bite size pieces. Peel and thinly slice the onion (Use a mandolin, if you have one). Combine the vinegar, sugar, salt and pepper in a large saucepan. Bring to the boil, stirring until the sugar has dissolved. Add the beans and sliced onions. Return to the boil and simmer, uncovered, until the beans are tender and the onions are transparent. Blend the flour, mustard and turmeric with the extra vinegar. Add to the saucepan and stir over the heat until the mixture boils. Spoon the mixture into warm, sterilised jars and seal. This entry was posted in Beans, Homemade Produce, Pickles & Relishes and tagged Bean pickle, Green bean pickle, What to do with excess beans by Glenda. Bookmark the permalink. Very inventive Glenda & you did such a masterful job on the presentation. Too bad you didn’t live in my town – we have an alpaca farm & they’ve loaned out a lot of their alpaca’s to people who want to sort of foster them and have the room. I’ve brought it up with my husband but alas, he doesn’t think we need any more animals here. Hi Celia, the book also said it goes well with curries and casseroles but I haven’t tried it in that context. If that is the case, it is certainly a useful condiment. That does sound interesting, Sandra. Hi Liz, it is a pity it was only one kilo. Lovely pickle. I am having a rather bad bean year- none went in at the right time. But all the other summer vegetables are over-compensating. I will save this for the next Jack in the Bean stalk year. Hi Francesca, isn’t it funny how some years one thing will go mad and the next year it will be something else. “Bean relish” reminds me of the old joke “I know what it’s been but what is it now? !” But I can clearly see what it is, delicious 🙂 Yum. 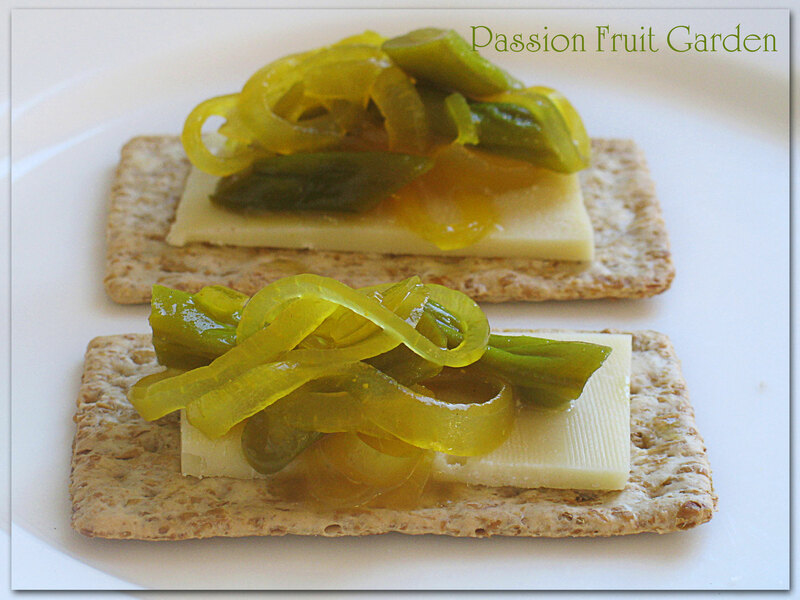 Simple sweet pickles, cheese and biscuits. I’m mentally filing for future reference, but I’ll tell Dad about the alpaca poo for his bean plants, which I stripped last visit. Hi Ella, does your dad have access to alpaca poo? If so he is a lucky man. Probably without too much trouble as he lives in the rural Hunter Valley, and we see a few alpacas in the surrounding areas. I’ll suggest he looks out for it. Hi Elizabeth, Do you have lots of beans too? It must be a good bean year.